Heaven of Pirates, Indonesia Still Marked for Software Market ~ " World Information "
Based on the research institute IDC research, software piracy rate in Indonesia reached 87%. But the report cards are apparently not minor impact on the interest of investors to speculate on the application market of Indonesia. 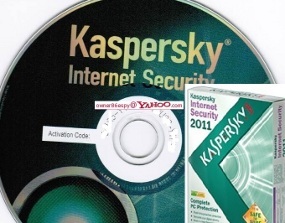 It is also recognized by Jimmy Fong, Channel Sales Director Southeast Asia Kaspersky Lab. He did not dismiss the portrait blurred Indonesia software market is smeared by the pirated product. But in fact, behind it there is a glimmer of hope that lurk. "This is related to Indonesia's population is so large, reaching more than 220 million people. Of course this is a separate market opportunities amid high rates of piracy," he said, in a press conference at the Penang Bistro, Jakarta, Wednesday (1 / 6 / 2011). He was optimistic, if not all computer users with Indonesia will rely illegal software. Especially if you see the holes that threaten data security. "Are they willing to sacrifice his computer security by not buying the original software that is ready to provide its services," continued the man from Hong Kong. Value of commercial software without a license is installed on a computer in Indonesia, according to records and the Business Software Alliance IDC exceeded USD 1.32 billion in 2010. As for the piracy rate reached 87 percent, putting Indonesia in the 11th position in the list of country's biggest pirate universal. Kaspersky own central square off to open a representative office in Indonesia. If nothing gets in the way the plan will be realized in the year 2012. "To open an office in a country that can not be done overnight. It should make preparations in terms of human resources, business model, and others," said Jimmy. But as a 'warm up', Russian antivirus company is expanding channel in Indonesia with PT Nusantara Main appoint Technology to also work on consumer distribution network in Indonesia. Previously, the archipelago that have partnered with Kaspersky since May 2010 was only focusing handle the corporate segment. But with the addition of this marketing area, the archipelago would be launched Kaspersky Security Campaign in Indonesia. "We've got square off for the expansion out of the city such as Bandung, Surabaya, Medan and Makassar. If Jakarta must have Kaspersky already well-known names," added Michael Ong, Vice President of PT Nusantara of Technology.